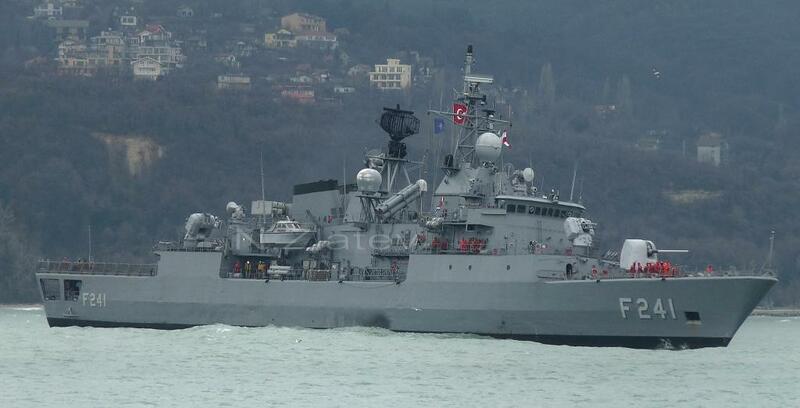 Engin class mine hunter of Turkish Navy, TCG Enez during Italian Minex 2015. Photo: Italian Navy. 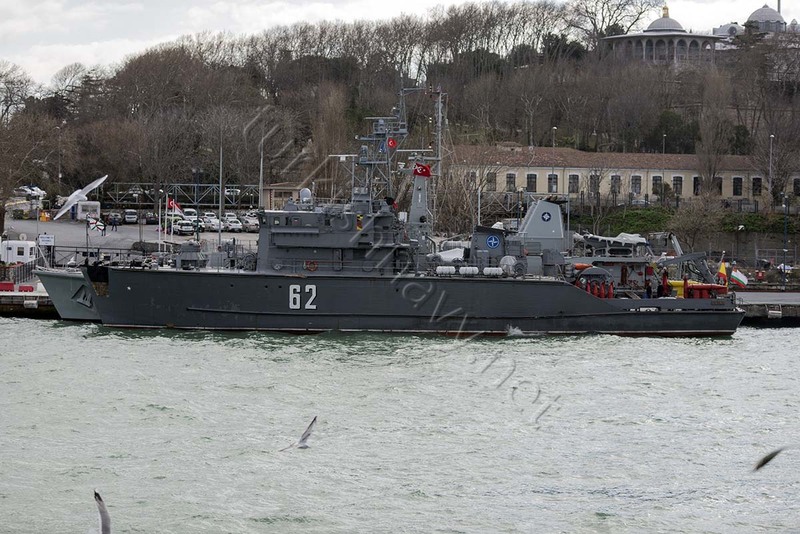 M-262 TCG Enez, Engin class mine hunter from Turkish Navy is taking part in Italian mine warfare exercise Italian Minex 2015 as part of NATO SNMCMG-2. The training involves all the staff and facilities of the strength of mine countermeasures based in La Spezia and forces European and NATO mine countermeasures, including Spain, Germany, France, Greece, Slovenia, Turkey and the participation of observers from different Nations such as Algeria, Saudi Arabia, Brazil, Croatia, Egypt, Lebanon, Morocco, the United States, Tunisia, United Arab Emirates and Qatar. The purpose of the exercise is to train the staff, employed on board and ashore, to plan and conduct effective remediation of the seabed by working in a scenario that plays, as realistically as possible, a situation of crisis in which the threat is not It is predictable. The task force will be able to make a complete mapping of the seabed are able to discover, locate and identify any object visually / threat present beneath the surface. One of the NATO’s largest exercise Brilliant Mariner 2013 is continuing in the Mediterranean. The exercise, which will end on 6 October 2013, will take place in the Tyrrhenian Sea between Sicily and Sardinia. Over five thousand military and naval personnel from 12 NATO nations comprising Belgium, Denmark, France, Germany , Italy, Latvia, the Netherlands, Norway, Poland, Spain, Turkey, the United Kingdom and the United States will participate in this major annual exercise. 25 warships, including one aircraft carrier, 12 frigates, one amphibious warfare ship, one auxiliary ship and 7 mines countermeasures vessels will be involved, alongside a wide variety of aircraft, submarines and embarked marines. Two submarines and a Maritime Patrol Aircraft will also take part. The Italian aircraft carrier C-550 ITS Cavour arrived in Marmaris as planned, today. 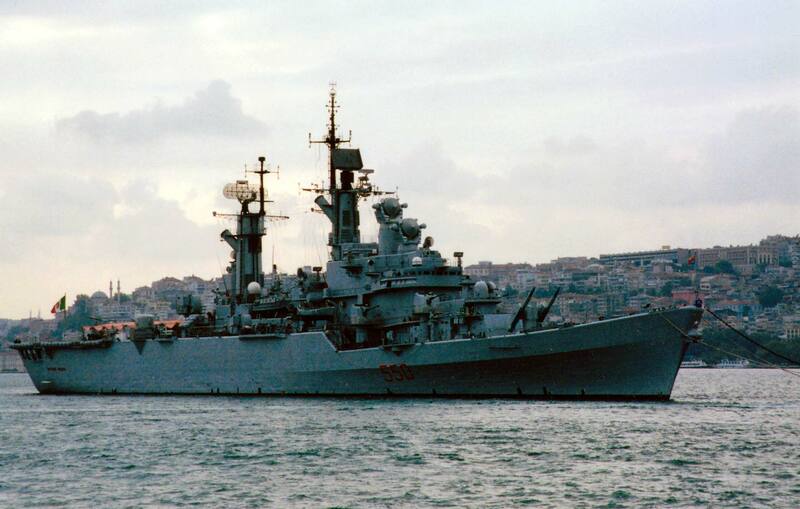 The Italian task force commanded by Rear Admiral Carlo Massagli, consists of carrier ITS C-550 Cavour, destroyer D-554 ITS Calio Dulio and the fleet tanker A-5327 ITS Stromboli. The destroyer and the tanker have docked at the Aksaz Naval Base adjacent to the touristic town of Marmaris. The highly visible aircraft carrier however docked at the port in Marmaris usually used by large passenger ships. According to Wikipedia, Cavour was laid down by Fincantieri on 17 July 2001, and she was launched from the RivaTrigoso shipyard in SestriLevante, on 20 July 2004. The ship is designed to combine fixed wing V/STOL and helicopter air operations, command and control operations and the transport of military or civil personnel and heavy vehicles. The 134 metre, 2,800 m2 hangar space can double as a vehicle hold capable of holding up to 24 main battle tanks or many more lighter vehicles, and is fitted aft with access ramps rated to 70 tons, as well as two elevators rated up to 30 tons for aircraft. Cavour can also operate as Landing Platform Helicopter (LPH), accommodating heavy transport helicopters and 325 marines. The Italian ships will stay in Marmaris until 12th February 2013. Click here for the video of Cavour in Marmaris. 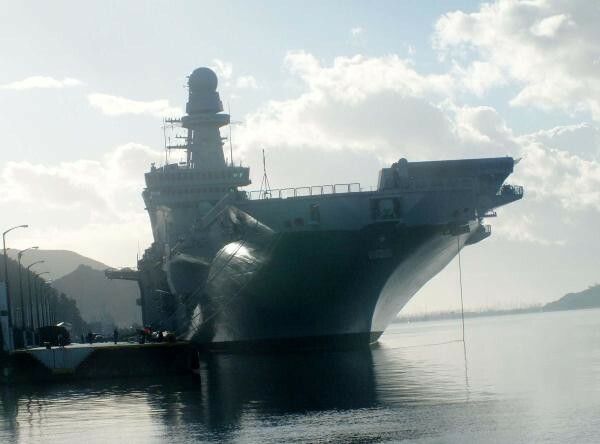 Tomorrow, on 9th February 2013 the Italian aircraft carrier C-550 ITS Cavour will start a port visit in Marmaris, Muğla. The Andrea Doria class destroyer D-554 ITS Calio Dulio and the fleet tanker A-5327 ITS Stromboli are escorting the aircraft carrier. The destroyer and the tanker are going to dock in Aksaz Naval Base adjacent to the town of Marmaris where as the aircraft carrier will dock to the pier reserved for large passenger ships in Marmaris town where she will be highly visible to everyone. 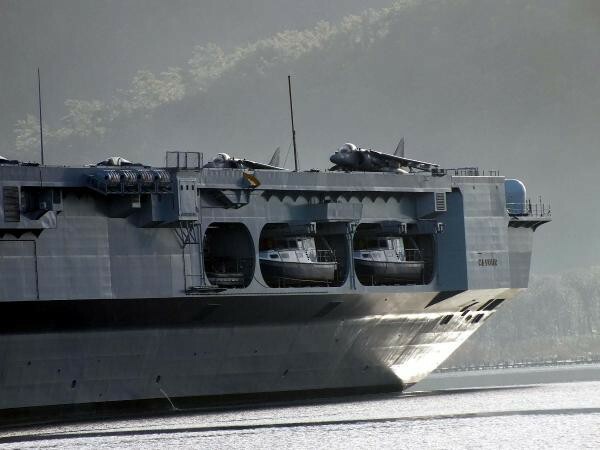 What’s good is an aircraft carrier if you cannot show off with it? Right. According to Russian website Rusnavy.com, the Russian destroyer Smetlivy left Italy. 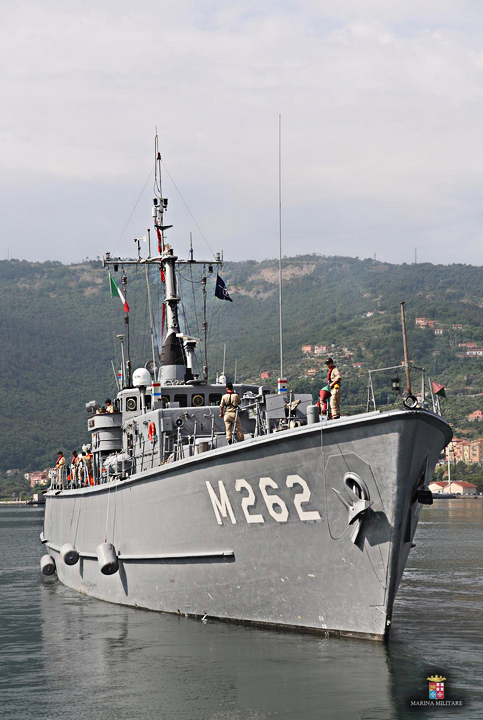 She was in the Mediterranean Sea to take part in the joint Russo-Italian naval exercise IONIEX-2012. Smetlivy apparently suffered a problem with her fuel system so that it was necessary to repair her in Taranto naval base. She will join other Russian ships already in the Mediterranean and they will altogether sail to Gulf of Aden to combat piracy. 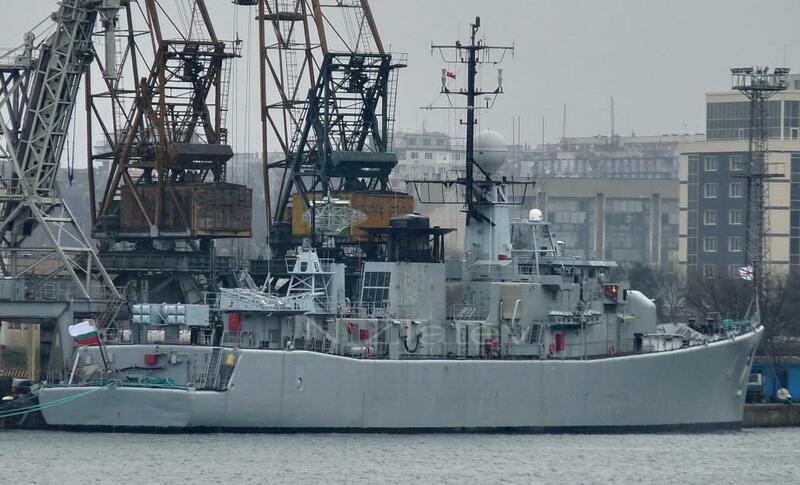 It was earlier said that one of oil pump blocks was broken down on BSF destroyer Smetlivy that had called at Italian port Taranto after completion of the IONIEX-2012 joint naval exercise. The ship’s commanding staff decided to ask Italian partners to help. 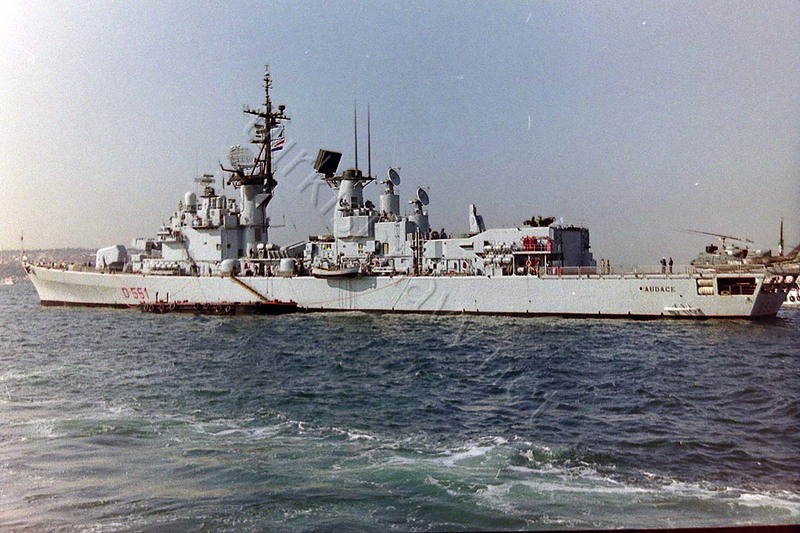 In order to eliminate the failure found in the Russian destroyer, Italian Navy’s workshops made the needed parts in a day. When the crew had finished all repair works, Smetlivy departed from Taranto in the evening of Nov 13 and is currently heading for assigned zone in the Mediterranean Sea. BSF task group consisting of Guards missile cruiser Moskva, landing ship Saratov, and replenishment tanker Ivan Bubnov is performing combat training tasks in the East Mediterranean. 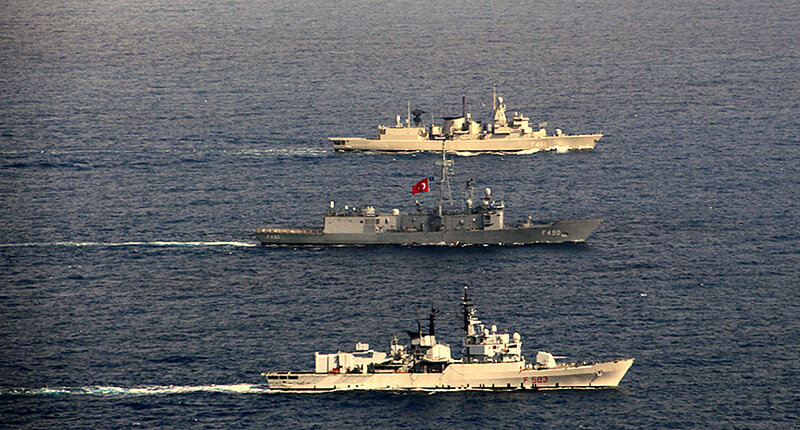 The ships are holding joint tactical drills practicing short-range antisubmarine and antiaircraft warfare. It is planned to conduct watch officer drills, train signalmen and radar operators, and carry out damage control drills. The task group will be soon reinforced by BSF landing ship Novocherkassk which is to pass the Black Sea Straits in the next few days.